NOTICE: Activation key must be used on a valid Steam account, requires internet connection. 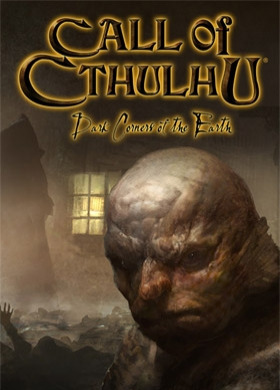 ABOUT THE GAME	Developed by Headfirst Productions, Call of Cthulhu – Dark Corners of the Earth is a first-person horror game that combines intense action and adventure elements. You will draw upon your skills in exploration, investigation, and combat while faced with the seemingly impossible task of bat… tling evil incarnate. Set during the 1920s, Call of Cthulhu is based on the Cthulhu Mythos of HP Lovecraft, an American writer of fantasy and horror and is produced in conjunction with the developers of the Call of Cthulhu pen and paper RPG, Chaosium Inc. Lovecraft’s stories tell of unthinkable evil, psychic possession, and mythical worlds. His work has profoundly influenced numerous fantasy and science fiction writers, including Stephen King and Anne Rice. KEY FEATURES Diverse array of levels from quaint towns to alien locations, including Deep One City Dynamic Sanity system resulting in hallucinations, panic attacks, vertigo, paranoia, and more! Incredibly detailed real-time graphics with atmospheric lighting and dynamic shadows	Intelligent gameplay involving puzzle solving as well as combat and exploration	1920s weaponry and vehicles as well as evil artifacts and alien technology	Lovecraft's famous monsters and locations SYSTEM REQUIREMENTS OS: Windows XP/2000 Processor: Pentium 3 800Mhz Memory: 128MB RAM Hard Drive: 2 GB Graphics: 128MB VRAM DirectX 9.0 3D compliant Video Card Sound: DirectX 8.1 Compatible Call of Cthulhu: Dark Corners of the Earth™ © 2005 Bethesda Softworks LLC, a ZeniMax Media company. Bethesda, ZeniMax and their respective logos are registered trademarks of ZeniMax Media Inc. Developed under license from Headfirst Productions Ltd. (UK). Call of Cthulhu is a registered trademark of Chaosium, Inc. All Rights Reserved.